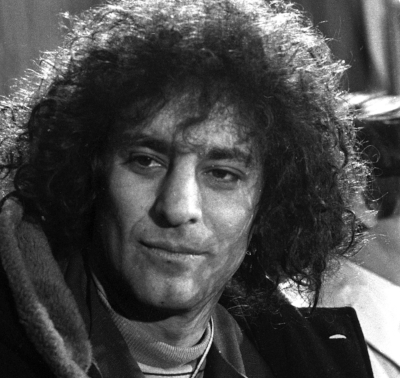 Back in the 1960's and early 70's, Abbie Hoffman was a well-known political activist of the then-vibrant counter-cultural left. Hoffman (1936-1989) was a puckish provocateur with a penchant for injecting madcap theater into the most serious political issues of the day. Founder of the Youth International Party - whose members were known as Yippies - Hoffman and Jerry Rubin, his "partner in crime" - loved nothing better than deflating the high and mighty through the staging of screwball publicity stunts. In August 1967, Hoffman and his Yippies threw fistfuls of real and fake dollars from the balcony of the New York Stock Exchange onto the traders on the floor below. In 1968, his political party ran a swine they named "Pigasus the Immortal" for POTUS as a way to mock the sociopolitical status quo. Despite the hilarity of his stunts, Hoffman was deadly serious about the causes that motivated him: Vietnam, the draft, racism, bigotry and above all, inequality. "Sacred cows make the tastiest hamburgers." Free speech means the right to shout 'theatre' in a crowded fire." One wonders how Abbie Hoffman would respond - and what he would be doing - to the world of '45, Islamophobia, the alt-right, "alternate facts" and the politics of fear. Would he find anything funny to do or say, or would he retreat into the silence of self-medication? (Sadly, the bi-polar Hoffman did just that in 1989, when he overdosed on Phenobarbital and liquor at the age of 53) Or would he somehow find a way to "shout theatre at a crowded fire?" Would he somehow find a supply of pins - not to mention a following - with which to prick and deflate the balloons of narcissism, political cowardice and puerile myopia? What kind of stunts would he pull at pro-'45 rallies, or gatherings of the gullible who believe that the only way to save America from our enemies is to close our doors, padlock our bathrooms and legislate solutions to problems we truly do not have? This last case deals with the smallish 'Anti-Sharia' marches held earlier today in a couple of dozen cities and at least 20 states. Organizers called the "March Against Sharia" rallies to protest what they say is the threat to U.S. society posed by the set of traditional Muslim practices, which they say includes oppression of women, honor killings, homophobic violence, female genital mutilation and other abuses. And while it is true that some if not all of these abuses exist among a tiny, extraordinarily fundamentalist faction within both Sunni and Shiite Islam, they present no threat whatsoever to America. Ironically, many of those who came out to protest the oppressive way these Islamic fundamentalists treat women, gays and other minorities, think nothing about overturning Roe v. Wade; find no incongruity in being dead set against a woman's legal right to "equal pay for equal work"; or denying legal protections to LGBTQ Americans. I can imagine Abbie (who were he alive today would be 81) leading a counter-parade with bearded men attired in bikinis or elderly women in football uniforms. Got to get out those pins. Got to deflate those balloons. In a gathering in Harrisburg, Penn., about 60 "anti-sharia" protesters were separated from the same number of counter-protesters. "This is a march against sharia, not Muslims," Steven R. Moore, of Washington County, Pa., told The Washington Post. "We are not affiliated with any extremist groups. ... Sharia is a barbaric system that the Islamic State is trying to impose in our country." I can see Abbie carrying a poster emblazoned with a photo of "Pigasus" above a caption reading "I wish everyone kept kosher or hallal." The very idea that Islamic law is making great inroads in America beggars the imagination. And yet, nearly a dozen-and-a-half state legislatures have already passed laws banning or restricting sharia. In most cases, legislators pushing this sort of legislation use the same "urban legend" examples for why such legislation is essential. Most site the Muslim cabdriver in Minneapolis who refused to permit a blind fare's seeing-eye dog into his vehicle because "according to sharia, dogs are unclean." Then too, there's the case of another cabdriver who supposedly refused to permit a female member of the American military into his vehicle because according to sharia, it is a sin for a female to be attired in the garments of a male. (This too is an urban legend). In other words, the anti-sharia gang argue, it is illegal for one religion to impose its religious laws or values on anyone else. So why do many of these same people argue that if an employer is against abortion because he or she is an observant Christian they cannot by law be forced to provide insurance coverage for such a procedure? By the same token, what's to say that an Orthodox Jewish employer cannot forbid a worker from bringing a BLT for their lunch? At one point during the 2016 Republican primary, Texas Senator Ted Cruz, in attempting to outflank the Manchild from Manhattan, said that if he became POTUS, he would significantly beef up police presence in those neighborhoods were "people all dress the same, live by a separate code of law, and persist in speaking a foreign tongue." I remember listening to this and immediately thinking to myself "My god: he's talking about the Chasidim in Williamsburg, Brooklyn!" Fortunately, even without Abbie Hoffman, all these anti-Sharia protests met up with even larger numbers of counter protesters carrying signs proclaiming things like "We stand with our Muslim neighbors," "My Sharia knows no hate!" and "I am a Christian and I stand with Islam!" The only thing missing was Abbie's peculiar sense of humor. For had he been in Chicago, Detroit, New York, Seattle or Philadelphia, he probably would have been wearing a keffiyah, munching on a bagel and lox, and carrying a sign reading !דורך מיר איר ניטאָ אַלע אַ בינטל פון ידיאָץ "By me, you're all a bunch of idiots!" How's that for shouting "theatre in a crowded fire?"